For the majority, grains such as cereal, rice, and wheat are staple foods. 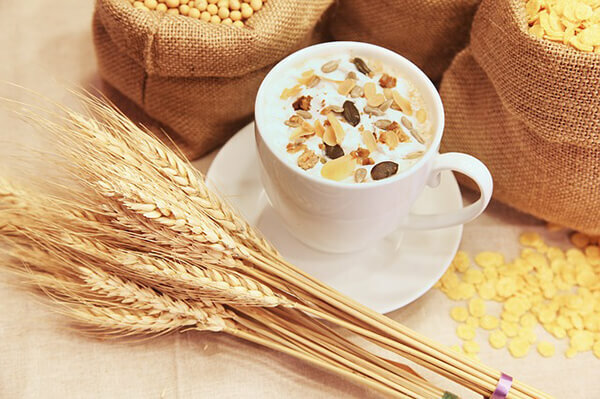 However, eating grains may not be that healthy for our body, contrary to popular belief. 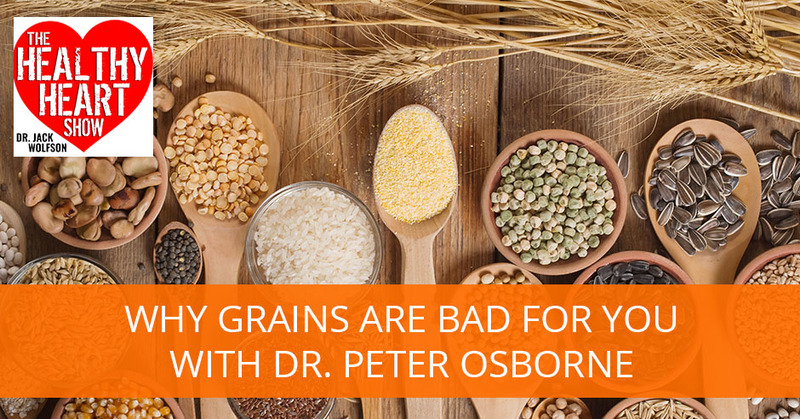 Dr. Peter Osborne – the Clinical Director of Origins Health Care in Sugar Land, Texas, a Doctor of Pastoral Science, and the author of No Grain, No Pain – shares why grains are bad for you and shows how grains can negatively impact your health. He explains the common misconceptions about grains and elaborates why we should avoid eating it altogether. Dr. Osborne also presents ways on how one can have a better and healthier lifestyle. I’ve got my friend, Dr. Peter Osborne. I think you’re going to love what Dr. Peter has to say. 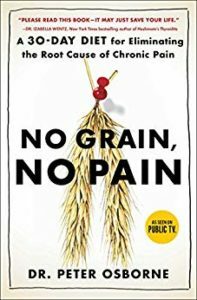 He’s the author of the book called No Grain, No Pain. Dr. Peter, we want to buy the book. We want everyone to read the book. With the title, you gave it all away, “No more grain and you’re out of pain.” I love that information. I try to keep it as simple as I can because there’s so much science out there and there’s so much involved information that a lot of it is very confusing. I believe that if the message is simple and concise, people will gravitate toward understanding it. Then they can actually apply it and change their lives. When you look at the title, people want more than that. We need to give them the science. We need to give them the information on why grain is so bad. Myself, I’m the Paleo Cardiologist. Paleo doesn’t allow for grains. There are no gluten-free grains. It’s not a Paleolithic food. Why does society have such trouble dealing with that or understanding that this is the best diet to follow? Our ancestors never ate grain, therefore we shouldn’t either. I agree with that to a large extent. Society has been socially engineered toward a belief pattern that grain is a necessity for human health. A lot of people aren’t aware of the history, but if you go back to the Great Depression, for example cereal maker and Post, those stuff weren’t even around until late 1800s when the first shredded wheat machine was created. Prior to that, there was no such thing as cereal. It didn’t exist. Now, people are growing up in this new social paradigm of cereal is what you eat, “What can I eat for breakfast if I don’t have that?” That’s all people eat. That’s what people should eat. That’s a construct, not a truth. In the Great Depression, when we look at what actually happened, the government took the grain. Basically, farmers were going to go out of business so the government took tax paying dollars to subsidize the growth of grain to keep farmers alive so that the country didn’t starve to death, which was a noble thing to do. I understand why they did it but those subsidies never got lifted. They’re still there now and who grows our grain now? Big mass corporate farms that are dousing the grain with chemicals and genetically hybridizing some strains of grain, genetically manipulating other strains of grain. What we have is this frankenfood that’s being called real food that people are consuming and getting sick over as a result. Let’s agree that pesticides on the grain are bad. Let’s agree that GMO grains are bad. We can all get behind that. I know in your book you talk about the science and you break it all down about why GMOs are bad and why pesticides are bad. All that stuff causes leaky gut. Let’s turn to maybe our friends in the vegetarian community that say, “Whole wheat is good.” The whole grains and eating oatmeal as long as they’re steel cut and organic and all of that stuff. Is that still healthy? Certainly, this is the Healthy Heart Show. Is that grain consumption heart healthy and is it healthy overall? In my experience, it’s not. In my clinical experience over the last almost twenty years, I’ve seen thousands of people that are chronically ill. I’ve not yet seen a person with a chronic illness who did not respond favorably to a grain-free diet. I do testing to try to determine what people should and shouldn’t eat. I know that there are diet generalizations. We all make them. Honestly, I don’t think that anybody could scientifically say that there’s no such thing as a person who could ever eat any grain and get sick as a result. However, with that being said, I will classify grain as such. You know this already, but grain is a seed. 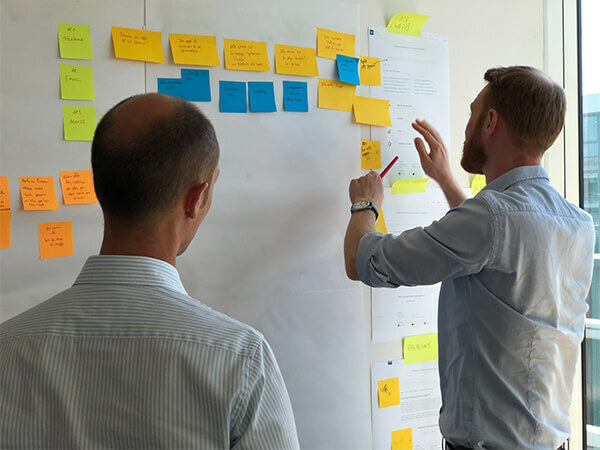 What does a seed design? God created seeds to perpetuate their species, to harbor and to protect the DNA so that species could continue to go on and live. Grains by default are designed to chemically protect themselves from predation. We are the predators. They don’t want to be eaten by us. They don’t want to be certainly eaten into extinction. They have what we call a class of proteins. Gluten is one of those proteins. Lectins are another class of proteins. There are a number of different classes of proteins that I categorized as century proteins. These are proteins that the seed itself have a purpose, to shut down the digestion of animal predators. It’s to create inflammation in animal predators as a deterrent from eating it. If we look at what it actually is and we think about what eating is, eating is an act of warfare. Another social construct of falsity is that eating, we all think of it as this act of love. Everybody joins together and we comment and we bring food and we all hang out together. Food is the centerpiece of that. The reality is that your gut battles food. Even the healthiest of food, even if you’re eating a handful of blueberries and you’re not allergic to them, there are still bacteria on those blueberries. There are still little tiny seeds within those blueberries that could pose a problem for somebody who just got a compromised GI tract. If we look at seeds as a whole, it’s a healthy gut versus a very hard to digest and a substance that’s designed to survive and designed to protect itself. If your gut is not healthy, there’s no way that you’re going to thrive by eating that food as a staple in your diet. Even if your gut is healthy, we could argue that making that grain-based food a staple in your diet would compromise your gut’s integrity the longer you consume it as a staple. Over time, the grain has the capacity to slowly deteriorate the human gut because the human gut is not designed to digest something that’s so difficult to digest. That’s where I look at it. Some people will argue, “What about the Bible and what about Jesus breaking bread? 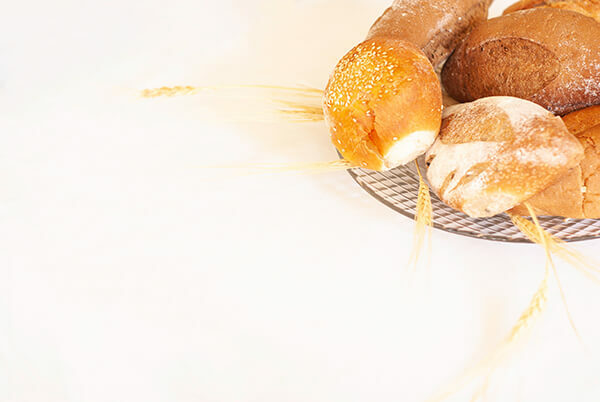 What about the bread as the staff of life?” I’m not a biblical scholar but from a biblical perspective, there is a segment in Genesis that says when Adam and Eve were being cast out of the Garden of Eden, they’re being cast out to toil in the field. The Garden of Eden did not have grain as far as we know. There’s no mention of it in any biblical texts to reference. One could also argue that the cast out was part of the punishment. I don’t know if that’s true or not, but we could argue that if we want to argue point by point. Why Grains Are Bad: Society has been socially engineered toward a belief pattern that grain is a necessity for human health. I’m certainly not a biblical scholar either, that’s for sure. When we talk about wheat, barley, rye, bread, that is all made from the seed of the wheat eventual grass. As the grass grows, it starts to germinate and you have to speed the seed. Modern society has taught us how to break down that seed and turn it into bread. If that seed is unhealthy, why is a pumpkin seed, chia seed or flax seed healthier? Are those healthy foods or they fall under the same category as seeds and we’re getting into this whole lectin conversation, therefore we need to process those seeds in an inappropriate way to make them digestible to us? I would say that arguably speaking, if we look at all traditional cultures across the globe and look at history, you look at the Chinese, the Oriental learned to ferment tofu. They’ve learned to ferment soy being a legume, which is a seed. They learned to ferment it because if they didn’t, it would create digestive distress and create problems. They learned to ferment it so that they didn’t starve to death. We have different options. It’s not like we’re going out in the world and be like, “I’ve got to eat so I’ve got to eat this rotten soy-based product because that’s the only thing that’s available.” We have our options. Pick an option that’s going to create less stress on your gut is what I’m saying. Many people who are chronically ill when they gravitate to the seeds, it creates digestive stress. Over time that digestive stress, that leaky gut leads to a lot of problems that are linked to autoimmune disease. Beyond the pesticide, beyond the genetic manipulation, the seed itself has the ability to protect itself. You think maybe for anybody with digestive issues, the obvious stuff, gas, bloating, belching, diarrhea, constipation. The simple thing is to look at wheat, barley and rye and the gluten-containing grains. Look at the non-gluten containing grains and look at the other sources of lectins in the diet, which are typically going to be the seeds. Look at cucumber seed that so many people consume. We can dive down into this rabbit hole. What are the foods we’re left with there, Peter? Tell me. I would say don’t dive down the rabbit hole. I would say focus on the big control factors. What are the big control factors? Most people’s diet is 70% carbohydrate. Predominantly of that carbohydrate, it’s all grain, breakfast, cereal, pasta. You’ve got things like toast that people are predominantly eating. You could look at dinner. It’s pizza. You look at pasta. The big things are typically grain-based. A person is slaughtering their gut’s capacity to maintain its own health by overexposing it to things that it doesn’t have the capacity to digest in any manner of consistent longevity. You’re slowly deteriorating the GI tract. It’s not my advice for people to go on a hyper-analytical phobic fear ride as it relates to food. I wrote No Grain, No Pain not to create fear, not to create a phobia. I wrote it to create general awareness and to create a dietary protocol that people could follow so that they could understand the connection between what they’re putting in their bodies and how they feel and what the health outcome for their bodies are. I didn’t write it to create fear. One of the things that I highly recommend that people do, because we’re talking in generalizations, that’s how we can have this conversation. If you were sitting across from me in my office, I wouldn’t tell you, “I want you to avoid this.” What I would do is I would test you to see what is your immune system doing. How is your body going to view gluten? How’s your body going to view grain? I would look at different types of tests to try to determine what is the you diet as opposed to what is the general diet that I want you to follow. At least in my experience by doing this, one, we create more of a black and white for a person to follow. A lot of people have a hard time with gray areas. They cheat. When there’s a gray area, they can follow it for a while but a lot of times they’ll gravitate away and they’ll start doing the things that made them sick in the first place. You may have experienced this too. 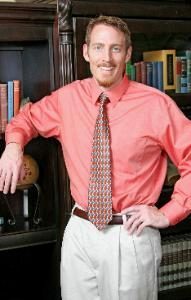 I don’t know what your clinical experience has been in this realm but I used to tell people, “You’ve got an autoimmune disease, so the healthiest thing for you to do is to go gluten-free.” If we look at all forms of autoimmune disease and we studied the cause, we have a perfect model, which is celiac disease. We know what causes celiac disease. Nobody argues about that and it’s great. That being the case, why wouldn’t we use celiac for a model to represent all autoimmune diseases? In fact, many researchers have done just that and found that gluten contributes to the vast majority of known autoimmune diseases whether it’s Hashimoto’s, hyperthyroid disease or Crohn’s or ulcerative colitis. There are forms of autoimmune heart disease, pericarditis that are linked to grain consumption. We already know that happens. I used to tell people, “Just do it because we already know you have that diagnosis. By default, let’s do that.” What I found clinically is that those people would do it for a few months and then they would fall backwards again. Unless we had some definitive way to analyze some type of biomarker that we could analyze and say, “This is the way your body sees it. If you eat it, this is the price you get to pay. I’m not telling you not to eat it, but if you understand the price and you’re willing to pay it, that’s on your shoulders and not on mine. I’m not going to guess at your diet.” That is what it boils down to me. Biochemical individuality rules the day. If we’re generalizing as a whole, if somebody has an autoimmune disease and they’re not gluten-free, they’re going to continue to struggle with that autoimmune disease. Research shows that person’s probably going to end up developing another six more autoimmune diseases over the course of their lifetime. You tell them first and foremost to be gluten-free. Maybe start with that and see how they do from there. Then gradually exclude maybe some of these other seeds. Tell me some of the testings that you’re doing. Give me some specifics about testing companies that you’re using? I use my own genetic testing. We do HLA-DQ Genotyping on the alpha one and the beta one gene, because there are a number of genetical patterns that we look at that show us whether or not their immune system is going to look at gluten as a friend or an enemy. I want to know that because it’s not an issue. I don’t look at gluten sensitivity as a disease at all. It’s a state of genetics. If you have the genes where your immune system will view gluten as an enemy, then you can trigger those genes to produce inflammation by exposing them to gluten. It’s not an issue of whether or not you have the inflammation. It’s an issue of whether or not you’re going to turn the inflammation on repetitively by eating that food over and over again. That’s one test that I do 100% of the time because I want a person to know, and I want to know, whether or not my advice is right in terms of going grain-free. A lot of people have sensitivity, yet don’t have that genetic makeup. They don’t have those HLA genotypes, yet they still have gluten sensitivity or they have symptoms related to gluten consumption. No, not in my experience. If they’ve got an autoimmune disease, it’s maybe less than 1% that I’ve seen in thousands of people where we won’t find a genetic pattern. Some doctors look at what’s called the celiac genetic pattern. They’re looking at HLA-DQ2 and HLA-DQ8 patterns. I’m not only focused on those, I’m also focusing on other patterns. There is DQ1 and there’s DQ3 which are called non-celiac gluten sensitive gene patterns. If you went to a standard doctor, standard lab and they were running a celiac panel, they might look and observe that aspect of the gene but they won’t observe the rest of the aspect of the gene for the non-celiac gluten sensitive markers. That’s why I run my own because I want to make sure that all the different markers that we know of that can contribute to a person’s reactivity to gluten are actually being analyzed. If you took HLA-DQ2 and DQ8 only, you’d miss 60% or more of the population of people that would react to gluten because you wouldn’t be analyzing those non-celiac gluten sensitive genetic markers. What about some of the other testing companies that are getting down to the peptide level and they’re looking at the glutenins, the gliadins, the non-gluten components of wheat, doing a deep dive on there. It’s maybe somewhat similar that if you uncover those, people likely to have the genetics that you’re talking about, so they’re not celiac genes, but there are other HLA genes that are non-celiac gluten sensitivity genes that maybe show up in these elevated antibody levels. The reason why I don’t dive as deep on some of the other tests that look at serpinins for example, which is a plant-based class of protein. It’s non-gluten protein but it’s found in wheat, barley, and rye. It can create an immune response. There are some labs that will measure serpinins and other proteins. It’s not the only one as an example. There was a research study done in 2010 by Bob Anderson from Australia. This is a group of researchers. What they discovered was 400 new gluten proteins. We’re just talking about gluten proteins. We’re not talking about the other families or their classes of proteins, just glutens alone. Forty of them, in essence, 10%, were more toxic than gliadin which is the name of the gluten everybody always talks about when they’re talking about celiac disease. If that person gets into a habit of eating that food as a staple for the rest of their life, genetically their normal response is to create inflammation. To me, that’s where the ultimate prevention can occur. If they know they’ve got that issue genetically, then there’s never a doubt in their mind in the future that, “Maybe I was reacting to it at one point in time because I had a leaky gut. Now maybe my gut is sealed and somehow maybe I can go back to some of those foods.” That’s the logic that a lot of people come around to and then they end up struggling with that logic because they ended up redeveloping the illness again. You say there are four genes and genotypes that we have to test for or is there more? There are four genetic patterns that we have to look for gluten sensitivity: HLA-DQ2, HLA-DQ8, HLA-DQ1 and HLA-DQ3. There are two different genes, but we have to hyper-analyze the alleles that that person has on those genes. If you’re running a 23andMe test, you’re not getting that data. 23andMe is giving you only 2s and 8s. Some of these other popular gene testing companies, they’re only giving you 2s and 8s. They’re not giving you 1s and 3s. If you don’t have a 2 or an 8 but you do have a 1 or a 3, you’re going to get a false negative test result possibly. That’s going to lead to your continued want to consume gluten in that regard. If you’re ill, your continued illness and if you’re not ill, the progression toward an illness. If we test for HLA2, 8, 1, 3 and any of those, are we looking for homozygous? Are we looking for heterozygous? What we’re looking for is no homozygous or heterozygous. Let me give you an example. I’m going to use the HLA-DQ beta one gene as an example. The HLA-DQ beta one gene has two pieces, all genes do. You inherit one piece from your mom, one piece from your dad. We’re talking about HLA-DQ beta one. There’s also HLA-DQ alpha one. Both of those are the two genes we look at. Let’s say a person has inherit from their dad a 2 and they inherit from their mom a 1. They’re both gluten sensitive gene patterns. Only the 2 is linked to celiac disease. The 1 is linked to non-celiac gluten sensitivity. I don’t care. It’s not an issue of homozygous or heterozygous because in this case, it’s heterozygous for DQ2 or heterozygous for DQ1. It’s not homozygous, but both gene pieces are gluten sensitive alleles. Why Grains Are Bad: Gluten sensitivity is not a disease; it’s a state of genetics. If you’ve got one normal copy from mom and one abnormal copy from dad, that will be considered heterozygous. Is that person going to have more of a response do you think than someone who is homozygous where they’re getting two bad copies coming in? I’ve seen it both ways. I’ve seen where this person only has one allele on one gene. It’s positive for gluten sensitivity and still reacts just as poorly. There are other variables involved in this. If we look at the other variables, it’s lifestyle factors. How does this person eat? How does this person sleep? How does this person’s exercise or sunshine? Those are variables that also affect and influence the behavior of HLA-DQ. The HLA-DQ receptor itself is the guardian of receptors. It’s the receptor on the surface of white blood cells that point to things and grab them and say, “This is good or this is bad.” It helped these receptors differentiate what is a threat versus what is not a threat. If that person is eating gluten, but they’re also doing all kinds of other things like being exposed to glyphosate, being exposed to other pesticides, being exposed to other food allergens, it’s still going to make that HLA-DQ receptor a lot more overactive. In some cases, you might have a heterozygous person with only 1, but because they have all these other behaviors, they’re reacting just as bad as somebody who only has 1 but eating cleaner. This is tremendous information. What happens is that we’re talking about how the gluten, the grain leads to intestinal hyperpermeability, otherwise known as leaky guts. These undigested food particles, proteins, bacteria, environmental chemical and toxins get into the body through that leaky gut and then the immune system comes in for attack, shooting off its bombs, it’s weapons, everything leading to inflammation, oxidative stress, which ultimately leads to cardiovascular disease, cancer, dementia. Inflammation is the mother of them all. The cardiologist understands that inflammation is bad. Why don’t they go to the next step to determine why they have inflammation? Is the answer Lipitor? I never understood that. I don’t want to put words in anyone’s mouth but the thought process of, “Your disease is caused by inflammation. Let’s block your inflammation without finding out why you have the inflammation,” never made sense to me. A lot of doctors would use Lipitor, a cardiologist will use Lipitor because there are a few studies in the literature that show it has a mild anti-inflammatory effect. They’ll use that to block cholesterol. They’ll use that for the claim that it also has an anti-inflammatory effect, but they won’t change a person’s diet. They won’t change their inflammatory habits. They won’t discuss food as a potential for creating that inflammation. They won’t discuss chronic medication use as a cause or source of inflammation. As a matter of fact, one of the medications is interesting as a cardiologist, but there’s a class of blood pressure lowering drugs, the Olmesartan in particular has been studied and found to cause celiac disease. If we look at that drug, it actually causes villous atrophy. There are some people being diagnosed with celiac disease that don’t actually have celiac disease. They have Olmesartan-induced villous atrophy and so they go down this gluten-free road, and they don’t get better because they’re still taking the medicine to lower their blood pressure. It never made sense to me that doctors that prescribe medicines should know the biochemistry, should know the research, should not rely on a drug rep for the research. When they get into the habit of relying on a drug rep, then they’re getting into a habit of relying on biased information, it has the potential to be very misleading. Doctor means teacher, teacher needs to be a perpetual student. That means educate yourself and allow your patients to educate you and take from the experiences that you share with those patients. We don’t see that in our world now. It’s a five-minute visit. You go to the doctor, it doesn’t matter what kind of a doctor. Usually, you don’t see the doctor even, you see the PA or the NP and you might get two or three minutes from the doctor. You might not get two or three minutes from the doctor. The doctor doesn’t have time. He’s seeing 40 people a day, he doesn’t have time to spend with his patients. What kind of doctoring is that? It doesn’t make any sense. I don’t want to put words in another doctor’s mouth but to me, the logical question to ask is, “If your disease is caused by inflammation, where is the inflammation coming from?” Not, “How can we block the inflammation?” Because by blocking inflammation artificially with chemicals, what we’re really doing is we’re silencing the body’s immune system’s alarm. We’re basically quieting the alarm system so that we’re under the guise of compassion as a doctor of trying to help you. What we’re actually doing is giving a false sense of security that allows that person to continue to do the same damage to their body repetitively over and over again. They never are empowered to make the changes that are necessary to actually overcome the disease and they become dependent on the medication. I’ve often been critical of my former profession, if you will, in the sense that the doctors don’t spend a lot of time with you. They only spend three minutes, five minutes. As you know, Dr. Peter, the medical doctors don’t need any more time. They’ve got nothing to say. If you’re in the room with a medical doctor for an hour, what are you going to talk about, your golf game? They’ve got no advice about nutrition, no advice about lifestyle, no advice about evidence-based supplements. They can’t adjust you. They can’t do chiropractic adjusting on you. They can’t do anything in that time frame, so you’re sitting there twiddling your thumbs. The study you reference of course is Olmesartan and the celiac disease that the pharmaceutical causes. That’s from the Mayo Clinic Proceedings where they found that data. It’s not from some obscure source. Why Grains Are Bad: Doctor means teacher, and a teacher needs to be a perpetual student. They’ve done follow up studies that reconfirmed it, so it’s not even the only studies that exist at this point. It was done several years ago and we’ve just been confirming more and more. The good news is that once they removed Olmesartan, they said the celiac symptoms cleared up on all those people. There are a million different diets that are going on now and that’s been the case for the last 50, 60 years. Everybody’s a new diet guru. You’re Keto, Vegan, Kegan, Paleo, Pegan, and all these different things. If we say that plants have defense mechanisms, why not go straight carnivore? Why not just eat animal products that don’t have any defense mechanisms? Why not stick with that diet? Because I don’t think it’s about zero defense mechanisms or lots of defense mechanisms. I think it’s about balancing what a person can tolerate and what a person’s capacity for eating is. There’s a great book called Biochemical Individuality written by a Nobel Prize-winning chemist, Roger Williams. In his book, he laid out that even though a person could be the same weight, you take two people 150 pounds, they could have pancreatic size differences of up to 300%. We think about the pancreas and its exocrine function and secreting digestive enzymes and secreting bicarbonate to neutralize stomach acid. 300% difference in size is quite big when you’re considering the same size of an individual. Different people have different gifts and different strengths. I think that’s why we have so many different diets. Some people do feel better on this diet. Some people do feel better on that diet. They naturally try to gravitate to where their body tells them they’re feeling better. Ultimately, at the end of the day, I think it should be all about the biochemical individualized diet. We’re going to see more and more technology evolving over the next ten to twenty years. It’s going to allow more and more of that to happen on a mass scale for the individual through technology, through apps, through DNA sequencing and a number of other technologies that are coming out and evolving. Do supplements have a role in your life and that of your patients? Yes, they absolutely do. 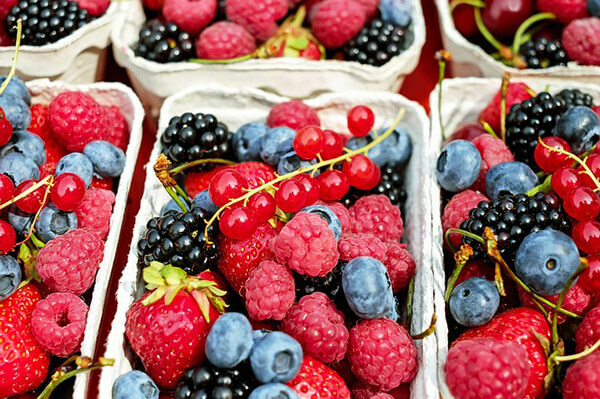 Vitamins and minerals are the cornerstones of the body’s capacity to build, heal. and repair and maintain itself. Part of what I do is I test for nutritional deficiencies in every patient because I want to know, if we’re going to supplement, let’s be as targeted as we can be. We can use multivitamins, we can use high doses of Omega-3 and things of that nature. I want to know what is it that this person in front of me absolutely needs. If I’m just trying to be generic for the audience and say, “Two things that I would highly recommend that you take. One is a good quality, high dose multivitamin. The other is a good quality fish-oil if you are not a fish eater.” If you’re not eating fish every day to get your Omega-3, you’re not going to get much of it even if you’re eating grass-fed beef. The fish hands down the fat and fish is where it’s at, or unless you’re eating organ meats like liver, which you can get quite a bit of it from that as well. Those two supplements I would say are safe and healthy for everybody to take. Beyond that, I like to dive in and do unique testing to try to determine what a person may or may not need. You’ve got the book, No Grain, No Pain. How many summits have you done? Have you done two summits, one summit? I feel slighted because you’ve only had me on one of them. The first three were a long time ago. We were one of the first groups that ever did summits before some of these summit companies evolve. The last two were Autoimmune Revolution one and two, and you were involved in Autoimmune Revolution two. Why Grains Are Bad: Vitamins and minerals are the cornerstone of the body’s capacity to build, heal, repair, and maintain itself. What’s next? What do we got planned? We’ve got a lot planned. We’re coming out with a lot of big things. We’ve got something called the Autoimmune Matrix. It’s going to be a follow along program that people can dive into if they’ve got an autoimmune problem and if they follow through it, they should find dramatic results. It’s a program that people are going to be able to do online without having to visit a doctor. We’ve got a lot coming out on our YouTube channel. If you want to subscribe, that’s YouTube.com/Glutenology. We’ve got a show called Pick Dr. Osborne’s Brain, which is free for anybody. It’s every Monday night at 6:00. You can come and ask the questions and I answer as many as I can in an hour’s time, so it’s a community service to try to help people. We’ve got some big and exciting things happening. I’m bringing on a videographer full-time and we’re going to be doing a lot of creative videos to help people learn using a lot of images and graphics. We’re excited about bringing that out. We’ve also got a living cookbook that we’ve created. It’s a living cookbook in the sense that our community is allowed to contribute to it. We prescreen the recipes and make sure they fit all the rules. We’ve got about 300 recipes that we’ve accumulated and it’s just growing like fire. For the audience and they’re a fan of my show and they’ve got hypertension or coronary disease or cardiomyopathy or atrial fibrillation and they’re sitting there and were like, “I don’t have autoimmune,” all those diseases, they’re all autoimmune. Everything is immune-related. The medical doctors don’t get it. Once again, it’s the immune system that’s leading tall that inflammation. Therefore, it’s all immune dysregulation that’s causing all of it. It’s very clear in the medical literature. Most people aren’t recognizing it. I’d say if they’re struggling, they need to go and call your office and see you. One of the biggest things I could say is that so many people struggle for years. They struggle because they try to do it yourself. It’s a DIY attitude. There’s nothing wrong with that. That’s the American spirit. I like it when a person is trying to get educated and trying to learn and do better for themselves. There comes to a point where you hire a professional to take yourself for the next level. I’m not going to put together my own legal paperwork and try to represent myself in a courtroom. I’m not going to try to fix my own toilet if I’ve got two feet of water coming into my bedroom. I’m going to hire an expert or the professional so that they make sure that gets fixed right and I don’t have to refix it over and over again and struggle. If you’re struggling, you’re out there and you’re following some of the Paleo advice, Dr. Wolfson’s book or my book, and you’re still struggling. Ultimately, find somebody you can work with or you trust. Find a good functional medicine practitioner and get specific for who you are. Many people do well on generalized diet, but so many people who are even following Paleo or following the No Grain, No Pain program, have additional food allergies and they’re eating that food as a staple in their diet. 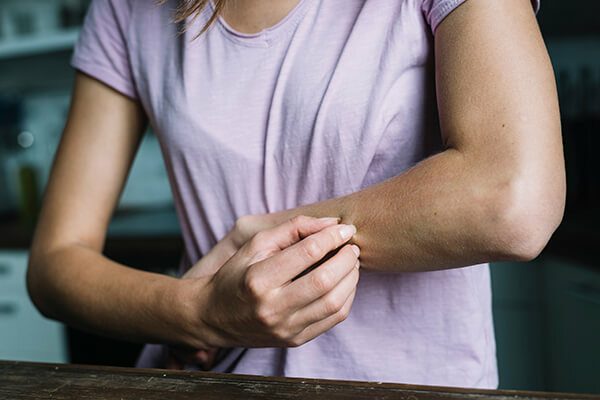 It’s creating the inflammation for them and they’re still struggling even though they’ve tried an elimination diet because not all allergies are anaphylactic shock. A lot of your allergies act like viruses. They have a loading period where you get enough of it and then your body starts to react and that may happen two weeks after you have exposure. You can’t always do a food diet history and figure out what it is you’re reacting to. Once again, you can read so much information on the internet, but the ability when you see a holistic practitioner is to get that individual testing done on yourself and see where you’re at. Many people are like, “I feel fine. I’m eating healthy foods, I’m getting my sunshine and getting my sleep. I’m getting chiropractic care, I’m doing well.” How do you know unless you take the deep dive and look at those markers of inflammation, oxidative stress, leaky gut, looking at advanced lipids, omegas, all the stuff that we test? This is why I’ve been such a huge promoter. There are a lot of good functional people that are out there, and I would choose any of them over any cardiologist that I ever trained with, that’s for sure. Although I trained with some brilliant people just brainwashed into the medical matrix. I feel when you find a good functional chiropractor, that is going to be your best modality because you get the functional side and then you also get the chiropractic adjustment side. I think that’s a very good combination. I always say the original functional doctor was a chiropractor. If you look back at what functional medicine is and the core philosophy of what functional medicine is, is the chiropractic philosophy in its truest sense. People don’t realize that. Chiropractors are some of the smartest people I know. Remind me of your website again? If somebody wants to learn more about what I’m doing, they can go to GlutenFreeSociety.org, that’s our foundation. If they want to learn about the gluten-free diet and being grain-free, they can learn all about it on GlutenFreeSociety.org. If they want to learn more about the other side of my practice and everything else, they can go to DrPeterOsborne.com. Why Grains Are Bad: A lot of your allergies act like viruses. They have a loading period where you get enough of it, and then your body starts to react. You described things very well, very succinctly, very easy to understand for everybody. I appreciate you for your time on the Healthy Heart Show. Thanks so much for having me, Dr. Jack. It was my pleasure being here. Thanks for all that you do. You’re doing a lot out there in educating people, so thanks for helping spread the word. I love it when I can go on a show where there’s another likeminded professional where we can tag team the information. Stay tuned and we will see you next time with another fantastic guest. Head over to the HealthyHeartShow.com and sign up. Make sure you subscribe to the podcast and enter in as well to get a healthy heart makeover with myself, Dr. Jack Wolfson, out here in Arizona. Thank you again to Dr. Osborne. See you next time.